Radiant, creative and a fearless feminist ... who wouldn't want to be in Meghan's gang? Well, now you can be her personal stylist, mix-and-matching a host of chic-sticker outfits and accessories for a range of occasions, as well as dressing up other royals, friends and family. From a classy engagement shoot with Prince Harry and a glamorous red-carpet appearance, to a wild safari holiday and a sunny Californian road trip, not forgetting the event of the year: the celebration of Meghan and Prince Harry's marriage at Windsor Castle. 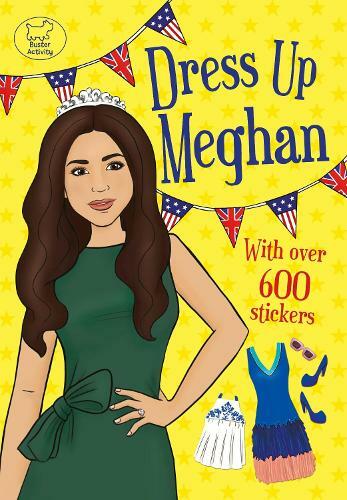 Meghan and Harry fever is sweeping the nation, and this fun sticker book won't fail to bring a smile, and hours of entertainment, to children and adults alike.